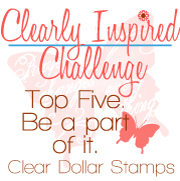 Clearly iStamp: A FREE digital image just for you! A FREE digital image just for you! Everybody likes free stuff....so here is a free digital image you can download and create with any time! We've also included some basic starter directions if you are new to digital images! Link to download your free basket digi! Here are some basic instructions if you are new to digital images. There are many programs to use for printing images, but Microsoft Word seems to be one of the simplest applications to use. 1. You have to download the image to a folder on your computer where you know they will be when you need them. Most of the time images download as "zipped" up folders and you have to unzip the file to expose the actual picture file(s). Unzipping a compressed zip folder. Right click on the zipped file, and select "extract all", then you follow the prompts your computer gives you, one of which is selecting a folder on your computer to save it in. 2. Once the images are on your computer, you have to place them, or open them in some sort of photo editing program or printing program in order to flip them, resize them, and print them. 3. Below are instructions for two versions of Word and Picture It (a photo editing program). Go up to the pull down menu "insert", pick "picture", pick "from file"
It may default to coming in "behind" text, which is what mine did, and this will not allow you to move it around or resize it, so you need to modify it to be "above" the text. You do this by right clicking on the picture you just inserted, click "format picture", click the "layout" tab, and then click on "in front of text", then "ok". Now you can move it around as desired. If you want to set it as a specific size for a die you are using, select the "size" tab in the "format picture" window, and simply type in one of the fields at the top the size you need it. Make sure the "lock aspect ratio" is checked so that you resize it proportionally. Click on the tab marked "Insert"
You can use your photo editing program and treat them like photos. Choose the option to "scale to fit"
4. Now you need to select your cardstock, paper, or watercolor paper to print your image on. If you are using Copic markers (alcohol based ink pen noted for its blending abilities), you can use the Neenah white cardstock. Most printers it will feed through the manual feed if not the tray also. If you are wanting to watercolor your images you can run watercolor paper through your printer. We are now carrying lightweight 100% silk watercolor paper at CDS (lightweight for digital printing).....the colors flow beautifully on this paper! HINT: You can change the page setup parameters in your Word document to be 7.5x11 so that I have an accurate view of the full sheet and how it will print. 5. You are ready to print! A laser printer with toner works best if you watercolor images. The ink in an inkjet tends to smear with water or other markers. Insert your paper or cardstock and print your sheet(s) of images. TIP: The more you "handle" your image, from cutting out parts of the image for popping up, that the laser toner wears off slightly. You can QUICKLY heat set the printed sheet with your heat tool, and that generally helps to reduce the smearing while coloring and some of the wearing off from handling. But keep in mind that it might not work for everyone or in all cases. 6. Color your image as desired. 7. Once your image is colored and ready for adding to your project, it is highly recommended to seal your image so that minor handling will not make the printed image wear or chip off. Sealing your image will prevent you from making ANY more coloring changes, so make sure you are completely done with coloring. It is recommended that if you like to enhance your image with white gel pen or glitter accents, do that before you spray seal. A good sealer to use is a matte finish clear acrylic sealer. It comes in a spray paint can and can be found at most hobby stores. Do NOT soak or saturate your image! You do NOT want the coating to appear shiny. Use 3-6 QUICK half second long sprays while holding the can about 6" to 8" away from your image panel. Your image panel should appear to have a light mist on it while it is still wet. Allow 5-15 minutes to dry completely before finishing your paper craft project. Once dry, your image panel should not appear glossy or shiny from the sealer. If you do, you have sprayed (coated) too much. You might benefit from practicing the spraying on scrap papers first before moving to your final colored image. You may apply a second coat if you feel you need extra smear proofing protection. We hope you enjoy your digital image and have fun! I was just going through your new digital images. I have never done digital anything before. They are all so beautiful. I love your oceans of joy. Do you have that in stamps? I would love to learn how to do the digital images. But I must wait to get my new computer. Thanks for the tutorial. Thanks for this image galore! I wonder if your have all this images in a zip! Thanks for the free digi. For some reason I had to enter my full name & mailing info as well as create an account to check out in order to get to the download of the freebie which I did succeed in downloading. If free I should not have had to enter my name & such but anywho I got it done. Hi, it's a very nice detail from you to upload the it. Hugs and Kisses. My little daughter Emily loves this type of blogs and she sends you another kiss. Great info for new digi stampers! Adorable freebie. Thank you! You might consider removing the first comment. It looks spamtastic! WOW you are a wealth of information and that is why I love your blog. TYSVM for the flower basket I am sure that it will be well used. 1. Click on the link words "DOWNLOAD FLOWER BASKET". 2. When 4shared website comes up, there is a BIG purple "download now" button, near the top left, click it and wait about 10 seconds while the counter counts down. You can watch it count down. 3. A "click here to download this file" word link appears, click it, and then your computer brings up your save file window and follow those instructions from your computer. If your screen is blanking out at the above link, then your computer is blocking that site and you will have to change some of your initernet browsing settings to see if that corrects the problem. Thank you so much for the instruction on how to print this freebie, I've been doing it wrong all this time! No wonder it didn't want to cooperate! Thank you so much! I will enjoy experimenting with my new Copics. Thank you for sharing such a pretty basket of flowers. Thank you Lori & Laurie from Lori! Love the card samples by 2 of my favorite ladies Cassie & Lisa! Thank you for the lovely image! Happy Easter! the downloaded file is actually a internet shortcut key...i didn't see any flower image in it. Thank You for the adorable image and the info for printing :-) Happy Easter!!! Thank you for the instructions and for this free digi image! This is my favorite one! I actually figured it out and printed it! I hope to work on it tomorrow and post the results! This is my first try with digis! L&L - thanks so much for these terrific directions when dealing with digitals~~ much needed information (for me anyway) Also, thank you for the freebie! You rock!